Need a last minute egg dying tip? Want to impress your kids with a project that uses spices, veggies and more to create eggs made at home with what's already in your kitchen? Check out Easter & Eggs. 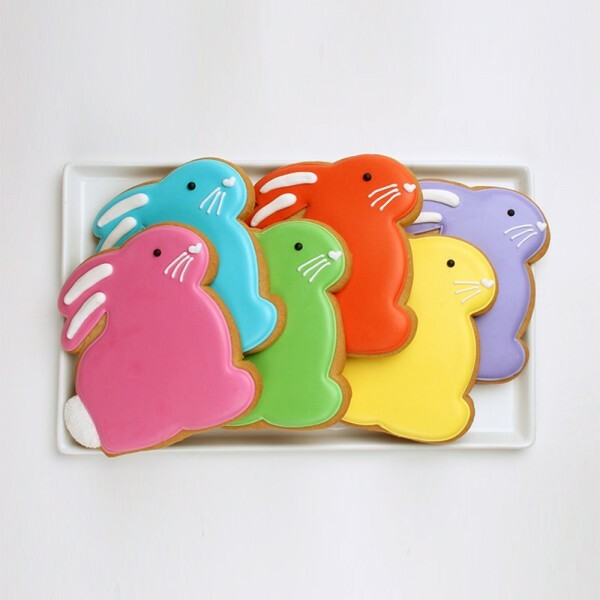 From the beginning of our Spirited Table® adventure, Eleni's in NYC has graciously allowed us to use their fabulous cookies, as our tabletop "works of art" so check these Easter eggs out as there is still time to order them at elenis.com. For Easter inspiration here are a few more from Eleni's: I see new bunny offerings! Kid-proof Easter table settings are easier than you think. The glasses here are plastic, the cups and saucers are from a kid's tea service, the containers came from Target, the eggs are either paper, stone or plastic, the green and orange bunny candle holders are plastic and the flowers are fake. The only things that break on this table are the two plates and the large bunny and egg cups, which are probably 20 years old; so they have had their share of kids, without a disaster.